In quick start we began the day with a little interpretive dancing from Tyler Young and a few students from each school. In the teaching sessions Deans talked about the importance of being in the family of Christ and how God is what molds our family together. Each family made scenes using play dough to create a family picture. They talked about how community exists to shape us and how shaping play dough is similar to shaping a Godly family and sometimes you have to use pressure. Advanced went to Spirit Ranch where they did a variety of group exercises on the ropes course. There were no Wild N Crazy games on Wednesday since we had to leave campus early for Jailbreak, so we just did sports in the afternoon. After dinner we headed on over to Quaker Avenue Church of Christ for a special service. Some of the congregation joined us for a time of worship and then Jerry Reeves spoke about forgiveness. He talked about how our story changes because of the Lord’s forgiveness and how our story becomes a story of forgiveness. At the end of the service Kat Jernigan and Duncan Welborn got baptized! After Rainbow Celebration we had Jailbreak, which is essentially a giant party. Trent Langford and his band, along with Clay Johnson were our live entertainment for the first half, with guest appearances made by Abbey and Devon Langford. There was a lot of good food, good friends, and good fun. We started Tuesday off with a little bit of storytelling. Laci, Ricky, Clay and John all told some form of a story about losing their luggage and the students had to guess which one was telling the truth. Apparently you can’t trust Laci’s cute little face, Ricky is a terrible liar, and John likes to take off his shirt when he’s on a plane. It would appear Clay is the only honest one of the bunch. In the teaching sessions they talked about forgiveness and focused on Colossians 3:13. Advanced school went off campus once again where they held a baby shower for a young expecting mother named Amanda. They gave her words of encouragement and played games with the family. After the usual sports, Wild N Crazy games got even more nasty than usual. Each family had to hold up one member like they were a tank and their weapon was ketchup for Red, mustard for Gold, blue paint for Blue, and green paint for Green. Whichever family had the least amount of ketchup, mustard, or paint on them at the end of the game won. Then we went to the tarp and played an old game brought back by popular demand-Sumo wrestling! One student from each school would put inner tubes on their arms and waist and then cross the slippery tarp to the other side while hitting at least one person from another school along the way. It was entertaining to say the least. Later that night in Rainbow Celebration we had another great time of worship, and Jonny Reeves sang a song for us on his guitar. Jerry Reeves spoke about living a life of unity by clothing ourselves in love. He talked about what destroys unity and the essentials that build unity. A favorite quote from the night was “through unity we become impenetrable.” Entertainment was a ventriloquist named Taylor Mason who enjoyed calling people out of the audience and using them in his jokes. Looking forward to another great day at the best place on Earth! Well SE 2013 is officially in full swing! This year’s theme is “We are Family.” Gold School is led by Devon Langford and Jesse Walton and their theme is Divine Dynasty like the show Duck Dynasty. Red School is led by Jordan Reeves and Chelsea Campbell and their theme is House Red where they have a medieval thing going on. Blue School is led by Jonny Reeves and Hayden Skoog and their theme is Avengers. Green School is led by Kaitlin Riojas and Brittany Cruse and their theme is Castaway. In the morning students went to their first teaching session of the week with the deans. 8th grade is with Mike Gibson, 9th grade is with Ricky Lewis, 10th grade is with Clay Johnson, 11th grade is with Devon Watkins, and Advanced is with Kalum Tuggle and Laci Richardson. Jerry Reeves and John Ketchersid are also acting as deans, leading Rainbow Celebrations every night. This year we have the most deans we have ever had! In the teaching sessions students talked about the differences between Christians and the world and how it is good to be different. I was able to watch some of the students put together skits showing good ways that Christians are different than other people, and I have to say we have some pretty creative students! Advanced is changing it up this year and every day they will be going off campus with Laci and Kalum. Today they went to High Point Village where they worked with special needs adults. From what I have heard they had a great experience there. After lunch we headed over to the sports field where students played basketball, ultimate frisbee, sand volleyball, and kickball. Next we started Wild N Crazy games which were just as crazy as ever. For the first game students had to put a spaghetti filled helmet on their head and run down the field to get a handful of slime to bring back. Whichever color got the most slime in their buckets won that round. In the second game we went to the tarp to play what Clinton Smith has deemed “Duck Dy-NASTY.” For this game each student had to put on a “beard” that was made from a mop and stick a rubber ducky between their knees. They then had to cross the slippery tarp, while keeping the rubber duck between their legs and not dropping it. Whichever team made it back with the most ducks won. Once everyone got all cleaned up we had dinner and then went over to Rainbow Celebration, which is one of my favorite parts of SE. After an amazing time of worship John Ketchersid spoke and gave a great message on how God calls us to be a family of hope, based on 1 Peter 3:8-18. At the end of the night the entertainment was a comedian named Darren Streblow. Thanks for keeping up with us, and please continue to pray for us as we go throughout the week! I will be posting a few pictures on Facebook every day and some posts on the blog so keep an eye out for them! At the end of the week I will add all of the pictures I have taken. Jake Walton is making videos for each day and we will be putting those on Facebook as well. ALSO, be sure to go ‘like’ our Summer Excitement page on Facebook at https://www.facebook.com/summerexcitementtexas! We are trying to post more things on that page than the group. I think it would be safe to suggest that in the last few years of Summer Excitement we’ve experienced some pretty interesting things on campus. Well, we want you to consider some of those things here today, and offer some feedback on our poll. While the poll is limited in it’s options, feel free to head on over to our Facebook page afterwards and share any other recent memories you’ve had that aren’t listed. Have fun! In honor of Registration Week, we invite you to burst into spontaneous dance at some public venue sometime in the next couple days. We prefer the Cotton-Eyed Joe, but hey, you may choose the Macarena or Chicken Dance – either will do. Invent your own jig, we don’t care. We just want you to think of your friends, previous good times, and the stinkin’ good time you’re gonna have come June 16! 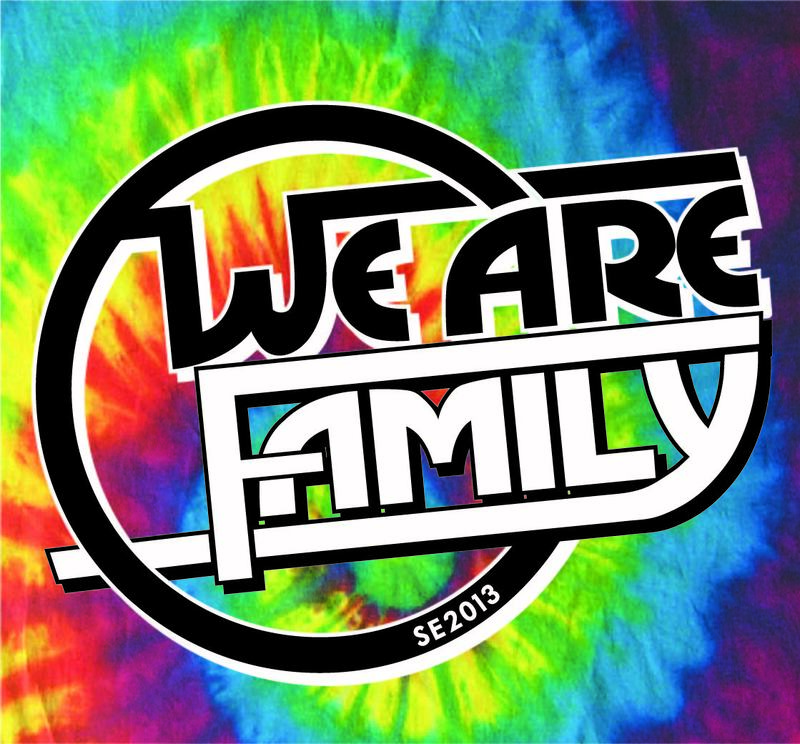 REGISTRATION FOR SE 2013, “WE ARE FAMILY,” HAS OPENED! 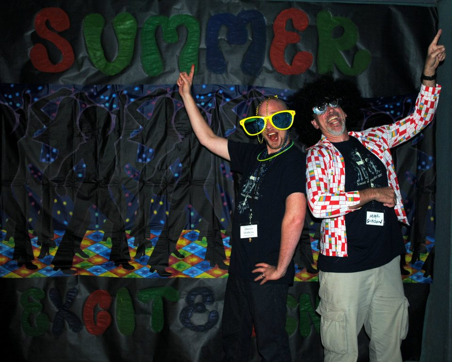 Registration for the 29th year of Summer Excitement has officially opened. Ensure your spot on campus this June by registering early on this blog-spot. Simply follow the link above, “SE REGISTRATION,” and easily register online in 10 minutes or less. For concerns or questions regarding this year’s registration, please contact Keri Moore at keri.summerexcitement@yahoo.com. SE 2013 will bring about some changes, starting with our teaching staff. Mike Gibson, veteran SE dean, has assumed the position of senior dean, and has assembled an exciting team made up of both new and familiar faces. Returning deans include Jerry Reeves, John Ketchersid and Kalum Tuggle, with Jerry and John overseeing Rainbow Celebration experiences, and Kalum working alongside former Assistant Director, Laci Richardson, to coordinate off-site service activities for advanced school students. New faces on the team will include Ricky Lewis, from Fort Worth, and Clay Johnson, of Savannah, Georgia. And also joining the team, moving over from Assistant Director, is Devon Watkins, of Fort Worth. 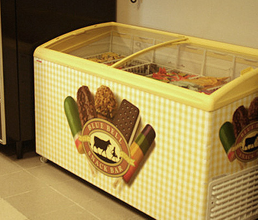 Oh, and BTW, in honor of a long-held SE tradition, here on “SE Registration-Day,” you have our blessing to seek out the nearest Blue Bell freezer, have a couple scoops, and think of all the sweet experiences you’re going to have in Lubbock between June 16-21! 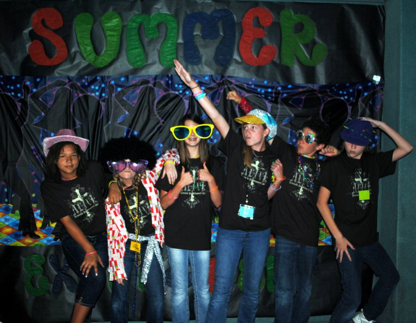 Summer Excitement 2013 is shaping up to be, yet another, incredible opportunity to engage with Christ and other friends while renewing your faith! Registration begins soon, on Monday, April 1, from this very site. We have been working hard for you, praying for you, and anticipating getting the family back together this June 16 – 21, for SE 2013, “WE ARE FAMILY.” This year, join 120 friends and peers, along with new senior dean Mike Gibson and his superhuman dean-team (including Devon Watkins, Jerry Reeves, John Ketchersid, Kalum Tuggle, Laci Richardson, and newbies Clay Johnson and Ricky Lewis) for another fun-filled, spiritually refreshing, and wild experience like no other. Hey, don’t miss the opportunity to reinvigorate your spirit. Be one of the first to sign up on Monday, April 1.